Bjorn Baker knows that his unraced three-year-old Star Of O’Reilly ticks most of the boxes for his debut in the Magic Millions Gold Coast Yearling Sale Maiden (900m) at Muswellbrook on Friday. “He is a nice, well-bred horse from a good family; his two trials have been good and he is fit but the one thing we don’t know is whether he can produce what he has shown us so far on raceday,” Baker said. Star Of O”Reilly, a $260,000 buy by Baker at last year’s Magic Millions yearling sale, has had two trials for an impressive third at Rosehill a month ago after missing the start and a win at Kembla Grange after leading most of the way. Baker said he had been forced to take his time with the son of O’Reilly: “He has been backward so we have had to take him along slowly and I don’t think the penny has dropped with him yet,” Baker yet. “Maybe it will drop after this race. “That can happen sometimes. “If he was to win this race and win it really well, we might think about the Gold Coast in January.” Ben Looker will ride Star Of O’Reilly, his first for the trainer. “I don’t know a lot about Ben but his record speaks for itself and I like to use jockeys who are in form,” Baker said. 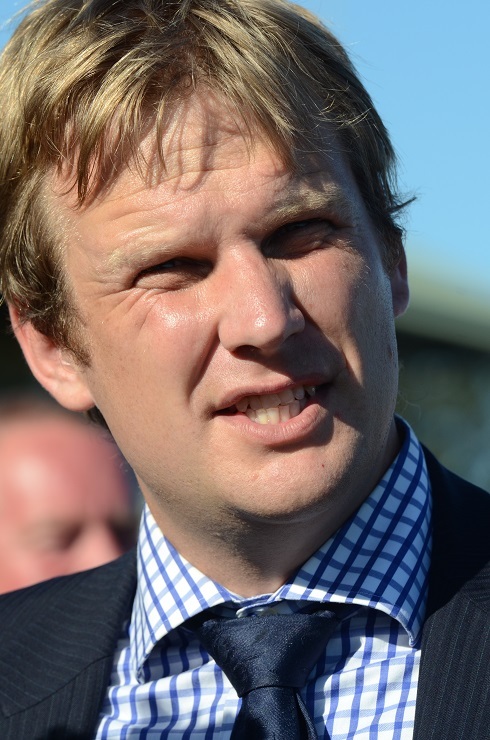 Looker, quickly becoming a regular at Muswellbrook meetings, has booted home five winners in the last 10 days including doubles at Newcastle and Coffs Harbour and has six rides on the eight-event program. Baker will also start Countercurrent, to be ridden by Andrew Gibbons, in the Pumps and Pipeline Services Benchmark 58 (900m) and rates her a winning chance. The Hinchinbrook filly, a $210,000 buy at last year’s Gold Coast sale, has started six times for a Queanbeyan two-year-old maiden win but Baker thought enough of that win to send her to Ballarat last season for the Magic Millions Two-Year-Old Clockwise Classic in which she finished sixth. She resumed from a spell earlier this month to finish fifth over 1100 metres at Hawkesbury and Baker saw a lot of merit in the run. “She led for much of the journey, she was only beaten two and a half lengths and she will be fitter so I think she is a winning chance,” he said. Meanwhile, popular Cessnock trainer 'Pud' Davies will be on the couch watching the meeting from home after being discharged from Sydney’s eye hospital on Wednesday. Complications from a burst abscess has left him blind in the right eye and doctors are unsure if he will regain his sight despite surgery to try and rectify the problem. Davies will start the former Victorian-trained sprinter Charlie Garcon (Chad Lever) in the Remington Motor Inn Benchmark 66 (1280m) and Star Wars (Louise Day) and Casiraghi (Adrian Robinson) in the Wallerawang Engineering Benchmark 58 (1750m). Charlie Garcon arrived at his stable in late October after five wins on Victorian provincial tracks but finished last at Scone at his first start for Davies earlier this month. Star Wars, an eight-year-old is a veteran of 76 starts and also jarred up at Scone while Casiraghi is one of two rides that Adrian Robinson has at the meeting. “He is a horse that needs a strong rider and I tried about half a dozen and missed out on all of them but when I found out that Adrian was riding at Muswellbrook I booked him straight away,” Davies said. 1-1.25, MAGIC MILLIONS GOLD COAST YEARLING SALE MDN, 1000m: STAR OF O’REILLY 1, Marawaka 2, Thorn Brook 3, Hit The Target 4. 2-2.00, TWO RIVERS WINES MDN, 1000m: CASH FACTOR 1, Miss Eimar 2, Sunsilk Girl 3, Patka 4. 3-2.35, GREAT NORTHERN SUPER CRISP LAGER MAIDEN, 1280m: BRIGID OF KILDARE 1, Little Geoffrey 2, Mystic Hill 3, The Cyprian 4. 4-3.10, PUMPS AND PIPELINE SERVICES BENCHMARK 58, 900m: COUNTERCURRENT 1, Scherzare 2, Engadine 3, Cunningar Lass 4. 5-3.45, GODOLPHIN CLASS ONE, 1450m: KOOKABAA 1, Legion Of Boom 2, Supreme Streak 3, Voyages 4. 6-4.25, VANCOUVER FIRST YEARLINGS @ COOLMORE CLASS ONE, 1450m: FILLE VOLANTE 1, Dundee Lee 2, But I Know 3, Olivia’s Girl 4. 7-5.05, REMINGTON MOTOR INN BENCHMARK 66, 1280m: EXELLAS 1, He’s Our Toy Boy 2, Charlie Garcon 3, Moonlight Spy 4. 8-5.45, WALLERAWANG ENGINEERING BENCHMARK 58, 1750m: SUNDAY SWINDLER 1, Diamond Deluxe 2, Revere 3, Unresolved 4.